This simple, affordable service franchise is a great way for you to own your own business. 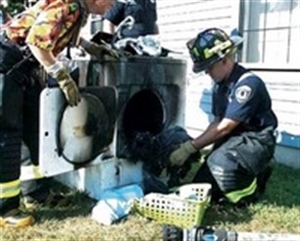 The franchise provides dryer vent cleaning and repair services to homes, commercial buildings, apartment complexes, schools, offices and more. The franchise also provides access to National Accounts for quick ramp-up of sales. National accounts include national pet franchises, Healthcare / Senior Care businesses, Hair Salons and the list keeps growing. This home based business can be owner operated or grow to an executive business model. The business has low overhead and an affordable cost. You manage few employees and work family friendly hours M-F 9-5. The franchise scheduling center saves you thousands of dollars in administrative costs and saves many hours of your time. Each franchisee is awarded an exclusive territory with at least 150K households making at least $50K per year. Multiple sources of revenue include vent cleaning and vent repair / replacement. Interested buyers must have a minimum net worth of $100K with $20K liquid. Please provide your full name, address, email address and phone number. No students or brokers please. Location and Facilities: Can work from your home office. Exclusive territory includes over 150K qualified households. Support/Training: Pre Training at home 4 weeks. One week in HQ. Three - Five Days in field training. Market Information and Position: This franchise provides a national scheduling center saving franchisees money and time. They also provide immediate sales with National Accounts. This franchise makes an earnings claim in their FDD. Lots of room to grow in very large territories. More territory can be added later if desired. Reasons for Selling: Strong demand for services.